I seem to have a fondness for anything German, especially the language. As I mentioned in an earlier post, Deutsch has a certain appeal to me that I cannot quite explain. While I can’t quite recall any memories from my childhood that might have contributed to this unusual preference, I do remember however, that while my father was alive, he spoke very highly of German automotive engineering. Not that it would be anything related. Years later, here I am, about to visit Germany. The Gothic Cologne cathedral in Cologne, Germany. One of the most visited attractions in Germany, this beautiful Gothic Cathedral boasts incredibly unique architecture and houses the Shrine of the Three Kings, one of the largest reliquaries believed to be the traditional resting place of the Three Wise Men whose clothes and bones are within. Taking a cue from peasants and knights during the Medieval Ages, a pilgrimage to this holy place beckons. 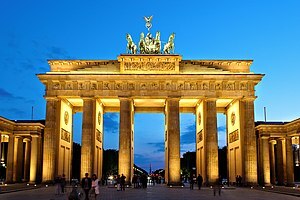 The Brandenburg Gate. Enter Berlin here. It is the only remaining city gate, one of eighteen such constructed, that used to be the entrance to Berlin. Just to the north of the gate is the Reichstag Building, where the German Parliament meet. Remains of the Berlin Wall. Just imagine that someone erected a wall effectively cutting off half of the city you live in. Anyone attempting to cross from the East to the West would be shot on sight. That is just a tiny glimpse of the horrors the citizens had to face during the Cold War. Though very little remains of the wall, it is a place that has profoundly contributed to modern history. It’s amusing to remember the world maps in my old elementary classroom back in the 80’s when the wall divided these into two vastly polar countries. 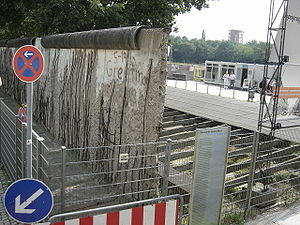 Having been erected by the Eastern Bloc, President Reagan later challenged General Secretary Gorbachev to tear down the wall, leading to the reunification of Eastern and Western Germany. Neuschwanstein Castle looks sort of familiar doesn’t it? It should be. 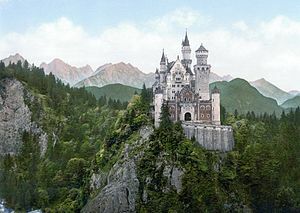 It was the inspiration for Disney’s Sleeping Beauty castle. This castle is the global symbol of the era of Romanticism, and as such, it’d be a perfect choice for tourist couples! While you are here, be sure to get on the Romantic Road, where you will find the best scenic route in Germany with historic castles, towers, towns, some preserved in their full Medieval majesty. Hofbräuhaus, where you dare not touch someone else's beer stein. Seriously? No trip to Germany would be complete without beer! And since I won’t get to visit during Oktoberfest, it would be sacrilege not to drop by the world’s most famous beer hall. They serve the beer only in one-liter glasses! 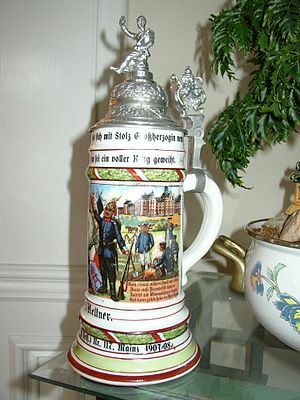 For guys, I would recommend a beer stein. A well crafted piece of art such as this would be well suited to embrace that smooth brew, keeping it cold enough until you pour it down your belly. Nothing else shows how serious you are about your beer than this. Wow, with England and France done at this point of the Euro Tour, this will probably be one of the busiest legs of the trip! There’s just soooo much to do in Italy. Every city has something unique about it that is a must-see. 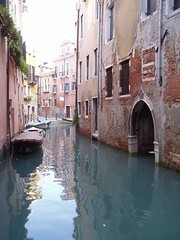 I can’t wait to see Rome, Venice, Pisa, shoot… I could go on and on! The site of bloody gladiatoral duels, mock naval battles and ancient army clashes. This is perhaps the greatest work of the Roman Empire’s engineering. 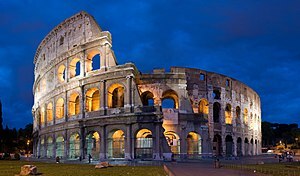 Built by Emperor Vespasian and finished by Emperor Titus, both of whom had the same family name, Flavius, where the coliseum derived its name from. This is a must-see during my trip, and as NWA knows well, I need to punch him in order to cross off an entry on my bucket list. 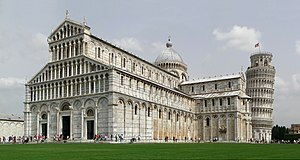 The Leaning Tower of Pisa and the Duomo di Pisa. The Leaning Tower of Pisa is famed around the world. It’s one of those pictures that says “Yep, I’m in Europe.” This bell tower of the nearby cathedral is also the source of many comedic pictures employing a bit of forced perspective by trying to push the tower upright. You can bet that we’ll be trying our hand at getting a funny shot of this. 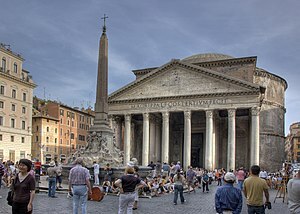 The Pantheon houses all the Roman gods and goddesses. Since I probably won’t get a chance to visit the Parthenon in Greece this time around, I think it would be a good opportunity to get a little taste of what I’m going to be missing out on by seeing the Roman Pantheon. The difference between the two temples is easily distinguishable. The Greek Parthenon is dedicated to Athena, goddess of Wisdom and War while the Roman Pantheon is dedicated to all the Roman gods and goddesses. 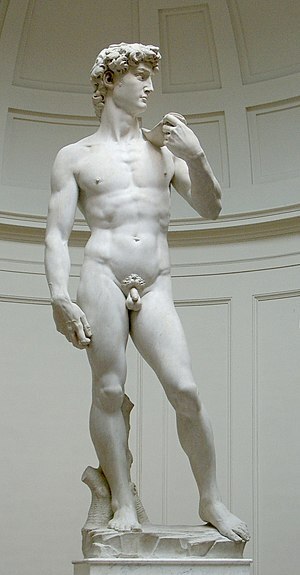 Possibly the most famous statue in the world. Created by Michaelangelo. I’ve seen the duplicate at Caesar’s Palace in Vegas… but somehow, I don’t think that one’ll stand up when compared to the real thing. Rubicon derives its name from the latin 'rubico' meaning red. The river gets its red color from mud deposits. A tasteful Venetian Mask will allow the ladies to feel like they’ve been to a Renaissance Masked Ball and bring out the charm and grace in them (we hope.) It’ll be a very elegant centerpiece reminding you of the sights and sounds of the Italian Peninsula.